A former Mount Gilead man who was convicted for breaking into animal shelters two years ago, was sentenced again Friday afternoon in Delaware County Common Pleas Court. After a four-day jury trial in April 2016, James Blankenship, 32, was convicted of one count of engaging in a pattern of corrupt activity, a second-degree felony; eight counts of breaking and entering, fifth-degree felonies; and three counts of safecracking, fourth-degree felonies. At that time, Delaware County Common Pleas Judge David Gormley sentenced Blankenship to seven years in prison for engaging in a pattern of corrupt activity; 12 months in prison for one breaking and entering charge, to be served concurrent to the seven-year sentence; and 18 months for one safecracking charge, to be served consecutively to the other prison terms. Gormley also ordered Blankenship to serve 12 months in prison for the other seven breaking and entering charges, but specified that those charges will be served concurrent to other charges. Additionally, Gormley ordered that the remaining safecracking charges should carry a 18-month prison sentence but also allowed those two charges to be served concurrent to the other charges. At the original sentencing hearing in 2016, Gormley said Blankenship would be subject to up to three years of post-release control upon the completion of his prison term. Since his conviction, Blankenship has appealed the verdict and said that during the court proceedings the court erred four times. Three of his challenges were dismissed by the Fifth District Court of Appeals, but the fourth challenge alleged that the court failed to properly inform Blankenship of the details of his post release control sentence. The Fifth District Court upheld the rest of Blankenship’s conviction and sentence, but ordered that Blankenship be brought to Delaware County to be re-sentenced for his post-release control term. At the hearing on Friday, Gormley said he erred by not specifying at sentencing that Blankenship was subject to the mandatory sentence of three years of post-release control. Gormley then re-sentenced Blankenship to his prison term and the mandatory three years of post-release control. Blankenship was being held in the Delaware County Jail on Friday, awaiting transport back to prison. Blankenship and Corby Creech, 39, of Cardington, were charged with the offenses after prosecutors said the two men broke into animal shelters and other businesses in numerous counties, including Delaware, Ashland, Champaign, Hancock, Hardin, Huron, Knox, Logan, Madison, Marion, Medina, Morrow, Muskingum, Seneca, Union, Washington, and Wayne. The pair reportedly stole cash, gift cards, animal medicine, and a puppy. At the 2016 sentencing hearing, Gormley also ordered that Blankenship pay $15,450 in restitution to the various shelters. 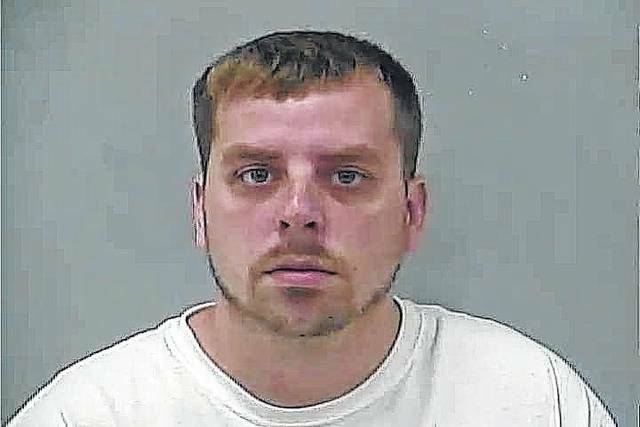 Creech reached a plea agreement with prosecutors in January 2016 and pleaded guilty to nine counts of breaking and entering, fifth-degree felonies, and a charge of safecracking, a fourth-degree felony. He was sentenced to three years in prison by Gormley and ordered to pay restitution in the amount of $12,147. Creech remained in the North Central Correctional Institution in Marion Friday, serving his sentence.